This Privacy Statement applies to the portal created to support volunteers for the Chattahoochee National Recreation Area (“CRNRA”). This portal is not sponsored by the National Park Service (“NPS”). It is maintained by volunteers to support the efforts of the Volunteers in Parks (“VIP”) program at the Chattahoochee River National Recreation Area. This Privacy Notice does not extend to National Park Service websites. See the NPS websites for NPS privacy statements. The individuals maintaining this site are committed to protecting the privacy of the site’s users. This Privacy Notice informs users of the https://www.CRNRN.VIP website (“Website”) about how we gather and use personally identifiable information (“PII”) when accessing this Website. The Website administrators strive to take reasonable steps to protect the privacy of the users of this site consistent with the information provided in this Privacy Notice. This Website is not intended to collect information from children. Information from children should be provided directly to CRNRA. If you are aged 13 or under, do not use this Website without the consent of your parent or guardian and do not register as a user. Individuals under the age of 18 should not use this Website to sign up as a prospective volunteer. IF YOU DO NOT AGREE TO BE SUBJECT TO THIS PRIVACY NOTICE WHEN USING THIS WEBSITE, DO NOT CONTINUE WITH VIEWING THIS WEBSITE. This Website’s purpose is to provide information and resources to individuals involved in the Volunteers in Parks program at the Chattahoochee National Recreation Area. This Website can be used for general information purposes without providing personally identifiable information. This includes viewing upcoming events and a Discussion Forum. Information collected on this Website is not sold. Information collected may be shared with the National Park Service, specifically the Volunteer Coordinator at the CRNRA. The Volunteer Coordinator may use this information to contact the prospective volunteer regarding the VIP program, follow up on comments regarding a volunteer experience, view information related on the Discussion Forum, and process event sign ups. Not registering or not providing voluntary information on this website will have no impact on an individual’s volunteer experience with the exception of not being able to access some information on this website which is only available to registered users. Requests on this Website to join the Volunteers in Parks are submitted to the CRNRA Volunteer Coordinator. The Volunteer Coordinator may contact the prospective volunteer independently, using the means specified in the volunteer application from this Website. The Volunteer Coordinator will use the information to maintain the prospective volunteer’s profile in the NPS system, and may send emails regarding volunteer events and work projects as a result of registration on this Website. Volunteer Hours: Existing volunteers can use this Website to log volunteer hours with or without a log in. A person’s first and last name is required to submit volunteer hours. When volunteer hours are submitted to this Website, they are transferred to the CRNRA Volunteer Coordinator for input in the NPS volunteer hours capture system. The Volunteer Coordinator maintains information about CRNRA volunteers and their work. This information may be used to designate funding to the CRNRA unit as well as to analyze the type of work conducted by CRNRA volunteers. Other options exist to log volunteer hours outside of this Website. Contact the Volunteer Coordinator (https://www.nps.gov/chat/getinvolved/volunteer.htm) for details. Event Sign Up: This Website will provide a list of VIP events. The user may sign up for an event on this Website. When using this Website as a sign up mechanism, the system may send automated reminder emails about the event to the email address provided in the sign up form. Prospective volunteers may also contact the Volunteer Coordinator (https://www.nps.gov/chat/getinvolved/volunteer.htm) to sign up for an event, as an alternative to using this Website. Service Request: Users may submit maintenance issues, such as trees blocking trails, via this Website. The requestor’s name is required. Contact information is strongly encouraged but is not required to submit a request. If contact information is provided, a member of the NPS staff may contact the requestor to obtain additional information about the request. Discussion Forum: Users may view and post on the Discussion Forum without being logged in. Logging in will show the individual’s name when making a post. Any PII submitted in a post may be read, collected, or used by other users of the Website. This may result in unsolicited messages, solicitations or ads, which are out of the control of the Website administrators. We encourage caution when listing any PII in a Discussion Forum post. Website Registration: Visitors have the option to register as a user on this Website. Required information for registration includes the individual’s name, email address and a user defined password. Registration will pre-populate information on forms such as name and email address and will link a post on the Discussion Forum to the registrant. Registration is not required to use many of the services on this Website. Registration may allow access to files and other volunteer specific information used by the VIPs. Information provided during the sign up process, such as address and emergency contact names, are forwarded to the CRNRA Volunteer Coordinator, which may be entered into the CRNRA volunteer database and may be used for contacts by the Volunteer Coordinator. This information is also listed on the Volunteer Forms which must be completed prior to any volunteer activity. Information collected on this Website is stored on the servers of the cloud-based data base management services used by the volunteer group maintaining this Website. The volunteer group maintaining this Website and the servers are located in the United States. For information about the specifics of data storage and retention or for requests for data deletion, contact privacy@CRNRA.VIP. If you wish to opt out of contacts from this Website or from CRNRA email mailings you requested via this Website, contact privacy@CRNRA.VIP. We will remove your name from any email mailings associated with this Website and will forward your request to the CRNRA Volunteer Coordinator to remove your contact information from NPS lists that were associated with this Website’s registration. Opt-out requests for information involving NPS databases will be forwarded to the Volunteer Coordinator but are outside of the control of the individuals maintaining this Website. Processing opt-out requests is done manually and may take several days. This Website is not directed at children, and we do not knowingly collect personal information from children aged 13 or under. Individuals who are under the age of 18 are invited to use this Website but should not register as a volunteer on this site. 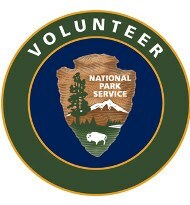 Prospective volunteers under the age of 18 and who wish to volunteer with CRNRA should contact the NPS CRNRA Volunteer Coordinator (https://www.nps.gov/chat/getinvolved/volunteer.htm) to sign up. Additional information may be required for volunteers who are younger than 18 which are not handled in this Website’s sign up program. This Website has been secured with SSL, if the user logs into the https://www.crnra.vip website. We strive to implement reasonable security procedures to protect user’s information from loss, misuse or unauthorized alteration; however, this Website is not intended to handle confidential or highly personal information. Users should make their own decisions about the best method they wish to convey their PII in order to use this Website. Users may contact the CRNRA Volunteer Coordinator (https://www.nps.gov/chat/getinvolved/volunteer.htm) directly, to provide personal information, as an alternative to providing it on this website. This Privacy Notice will change as our Website evolves. We reserve the right to amend this Privacy Notice at any time, for any reason, without notice to you other than posting the updated Privacy Notice on this Website. We may email reminders of Privacy Notice changes to individuals registered on this Website, but do not make any commitments that this will happen. To keep up to date with our Privacy Notice, we recommend you check this Website frequently to identify any updates. If you have questions or complaints about this Privacy Notice or about the information collected on this Website, please contact us at privacy@crnra.vip.